Foodies with a daring appetite should put their palates in the hands of A.T’s capable chefs. 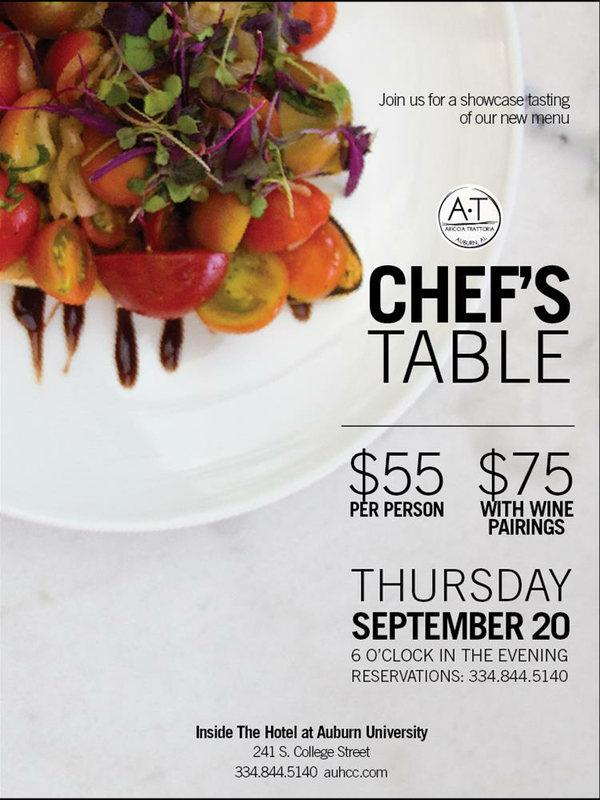 The A.T. Tasting menu only available at the Chef’s Table and features chef’s choice of menu items from the A.T. Menu. Guests will experience a six course dinner as chefs create tapas-style portions of current A.T favorites. The price is $55++ per person and wine pairings are $20++ per person. Dinner starts at 6pm. Seating is limited and reservations can be made by contacting 334.844.5140.